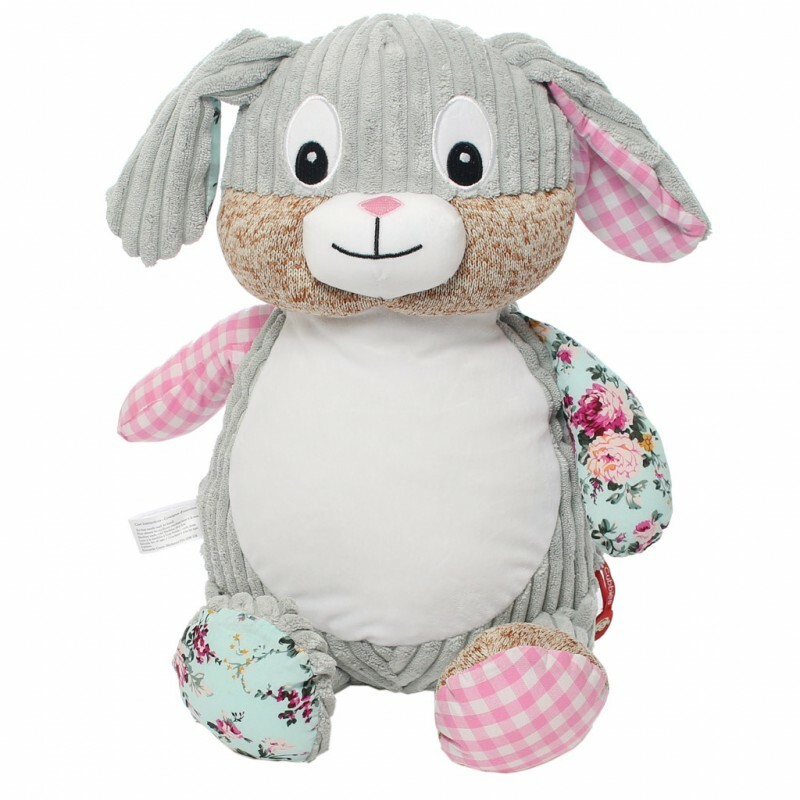 This beautiful personalised patchwork plush bunny is one of our best-sellers for obvious reasons. She has a friendly little face and the pink and floral patchwork design gives her a lot more personality than classic bunnies. With a large tummy area, there’s plenty of space to have one of our personalised designs embroidered and give her a special touch. 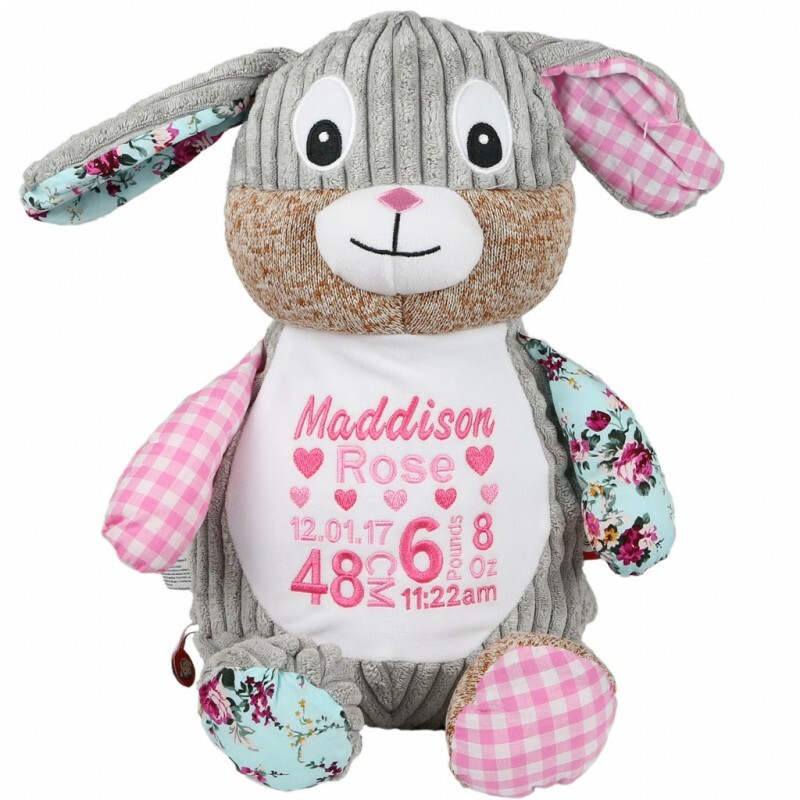 Embroidered with the baby’s birth details, these bunnies make ideal newborn gifts that will be treasured for years to come. They’re also very popular at Easter time as they’ll be loved long after all the chocolate (and associated tummy aches) are forgotten. If you have any questions about our Personalised Cubbie Pink Bunny, don’t hesitate to get in touch. 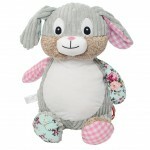 This bunny is not just cute it is a personal keepsake and the service received outstanding and swift. Would recommend the bunny but this company definitely. Thanks Chris.